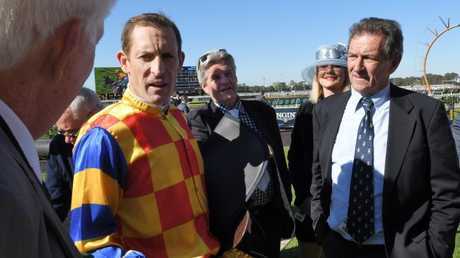 CHAMPION jockey Hugh Bowman celebrated his birthday on Saturday by winning the juvenile opener on the emerging The Fire Trap at Rosehill Gardens. The Fire Trap improved his record to three wins from just four starts when he wore down Master Ash to take out the Australian Turf Club Handicap (1400m). The Fire Trap's large and excited group of owners were just as happy to introduce themselves to Hall of Famer Gai Waterhouse, the trainer of runner-up Master Ash, immediately after the race, as they were when Bowman gave an encouraging precis of their two-year-old's winning effort. Bowman, who turned 38, was impressed by The Fire Trap's race sense and natural ability. 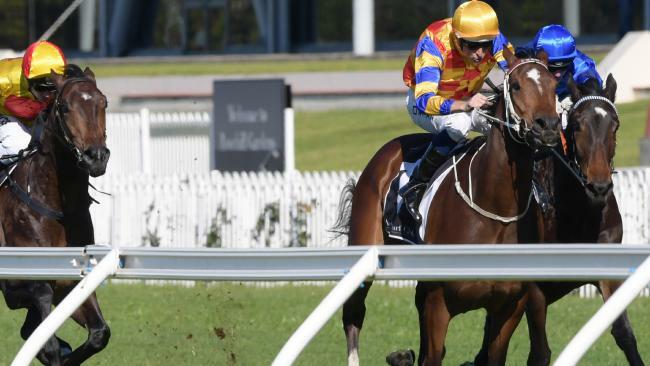 "He's a good horse,'' Bowman told the owners. The Fire Trap ($4.40) gave trainer Matthew Dunn his first Sydney juvenile winner of the season, finishing too strongly for early leader Master Ash ($3.90 favourite) to win by nearly a length. Laburnum ($4.40) was a head away third. 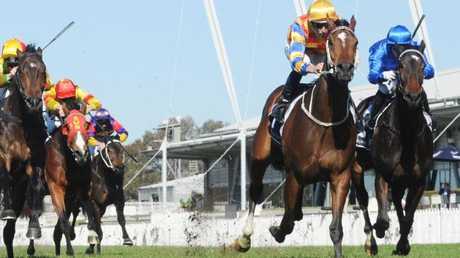 "This horse's form in Queensland had been good and I expected he would be competitive today,'' Bowman said. "I still think he will develop more mentally, so there is improvement to come from him. "He showed a nice turn of foot today although the leader was tiring. When this horse learns what his job is he is going to be turning out in better class races. 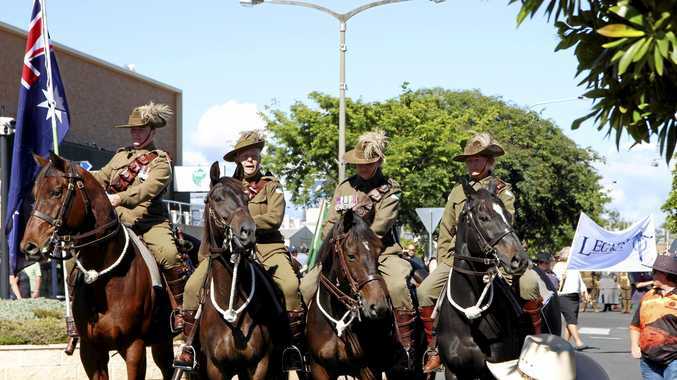 But the nation's best jockey is back to concentrate on Sydney racing, particularly as mighty mare Winx is set to barrier trial either at Warwick Farm on Friday or Rosehill on July 23. "I did like the way Master Ash kicked away from them at the top of the straight, but the winner was too strong,'' Waterhouse said.